A decade from his last political flick ‘Shantham’, National Award winning director Jayaraj is getting ready with a new political satire. 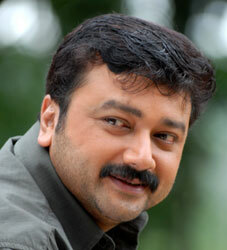 Titled as ‘Pakarnnattam’, the movie will have Jayaram and Sabitha Jayaraj as the lead protagonists. The movie which explores the practice that makes martyrs of the local political activists who are willing to sacrifice their life for ideologies, is scripted by the director himself. The movie will also give strong statements on the tragedy caused by the pesticide Endosulphan in Kasargodu district. The shoot for the movie has been completed at Payyanur and other parts of Northern Kerala. ‘Pakarnnattam’ is produced by Ravi Kottarakkara under the banner of Ganesh Pictures.